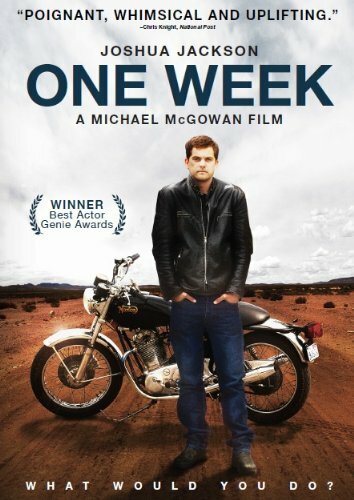 A movie about a man who travels across his country after being diagnosed with a terminal illness. What makes it different from all other travel movies is that we not only see a sampling of the beautiful country that Canada has to offer, but also get an insightful narration by Campbell Scott. On his way to British Columbia, Ben learns a few lessons about himself and what life might be about. I personally enjoyed it because although it seems very depressing, when you read the synopsis, it’s the opossite. Narrator adds a bit more depth to the plot and provides us with several laugh-out-loud moments. Another big plus of this Canadian movie is that actually provokes thought. When you get those rare moments of clarity, those flashes when the universe makes sense, you try desperately to hold on to them. They are the life boats for the darker times, when the vastness of it all, the incomprehensible nature of life is completely illusive. So the question becomes, or should have been all a long… What would you do if you knew you only had one day, or one week, or one month to live. What life boat would you grab on to? What secret would you tell? What band would you see? What person would you declare your love to? What wish would you fulfil? What exotic locale would you fly to for coffee? What book would you write?